Bugs Bunny, one of the most iconic cartoon characters of all time, has been around for three quarters of a century. Warner Bros. began featuring smart-talking rabbits in its cartoons as early as the 1930s, but it wasn't until 1940 that the rogue we know and love began to take shape on the screen. Here are 11 facts about the impish rabbit, who debuted 75 years ago this week. 1. He first appeared as an extra in a Porky Pig cartoon. The then-unnamed rabbit was created in 1938 for a cartoon in which Porky Pig went hunting, but the actual character wouldn't appear until years later. 2. Bugs Bunny might not exist if not for a time crunch. In 1938, Warner Brothers wanted to make a cartoon as quickly as possible. The previous year, they had released Porky’s Duck Hunt, which introduced Daffy Duck. Faced with the deadline, Bob Clampett decided to reuse some of the jokes that he had left over from Duck Hunt. And someone suggested that they “dress the duck in a rabbit suit.” The result was Porky’s Hare Hunt. Over the next few years, they tinkered with the character until it wound up with Tex Avery, Bob Givens, and Mel Blanc, who together would create Bugs Bunny. He showed up in a 1940 short called A Wild Hare. 3. His voice was originally designed to mimic Daffy Duck’s. During his inception, Bugs director I. Freling decided the rabbit’s voice would be similar to Daffy’s, since the duck was already a popular character. The voice actor who played Bugs, Mel Blanc, also provided the voice for Daffy Duck, as well as most other Looney Tunes favorites like Tweety Bird, Speedy Gonzales, and Marvin the Martian. 4. His mannerisms were partially inspired by Clark Gable. Bugs’ nonchalant, carrot-eating manner was inspired by a scene in It Happened One Night, when the fast-talking Clark Gable snacks on carrots while leaning on a fence. The character also took inspiration from Groucho Marx. 5. The creators were worried he would seem like a bully. 6. He does occasionally lose to Elmer Fudd. 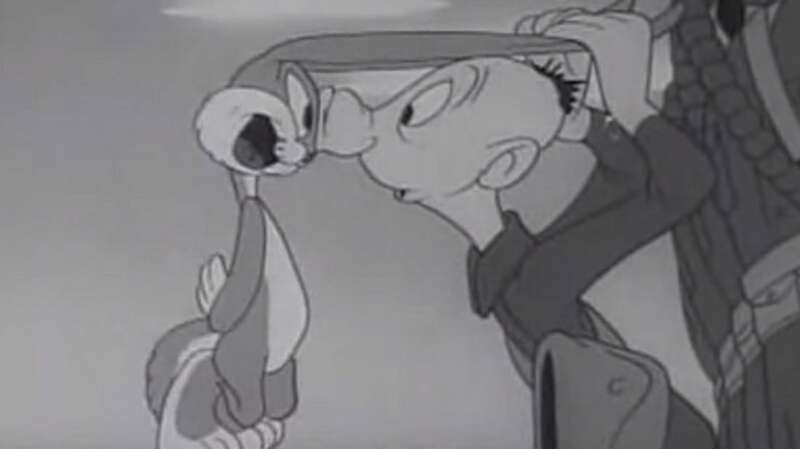 Notably, Bugs loses the battle in his constant war with bumbling hunter Elmer Fudd in What’s Opera, Doc, the 1957 short that parodies Wagner’s operas. 7. He made cameos in World War II military propaganda. Bugs Bunny shows up in several Private Snafu shorts, instructional cartoons designed to educate U.S. military troops about things like proper sanitation and not leaking American secrets. The films were classified information, and even workers who put together the animations at Warner Bros. were not allowed to see the finished product. 8. Bugs shows up on Seinfeld. When the Seinfeld gang goes to the opera in the fourth season of the show, Jerry sings part of the theme song from The Bugs Bunny/Road Runner Hour. “All your knowledge of high culture comes from Bugs Bunny cartoons,” Elaine tells him. 9. Psychologists use him to study false memories. In several psychological studies about false beliefs, scientists have shown people fake advertisements for Disney World featuring Bugs Bunny. A significant portion of subjects then claimed to remember going to Disney and meeting Bugs, even though a Warner Bros. character would never be on display at a Disney theme park. 10. The man who voiced him wasn't allergic to carrots. The story that Mel Blanc was allergic to carrots dates back at least to 1945, when animators told the New York Times that Mel Blanc would chew a carrot and spit it out, otherwise he’d get sick. But both his autobiography—That's Not All, Folks!—and Chuck McKibben, operations manager at Mel Blanc Studios, give a different story: McKibben told The Straight Dope that Blanc wasn’t allergic to carrots—he just chewed one and spat it out so that he could keep recording his lines (although McKibben does point out that Mel didn’t like “anything healthy”). 11. Bugs Bunny has saved lives.